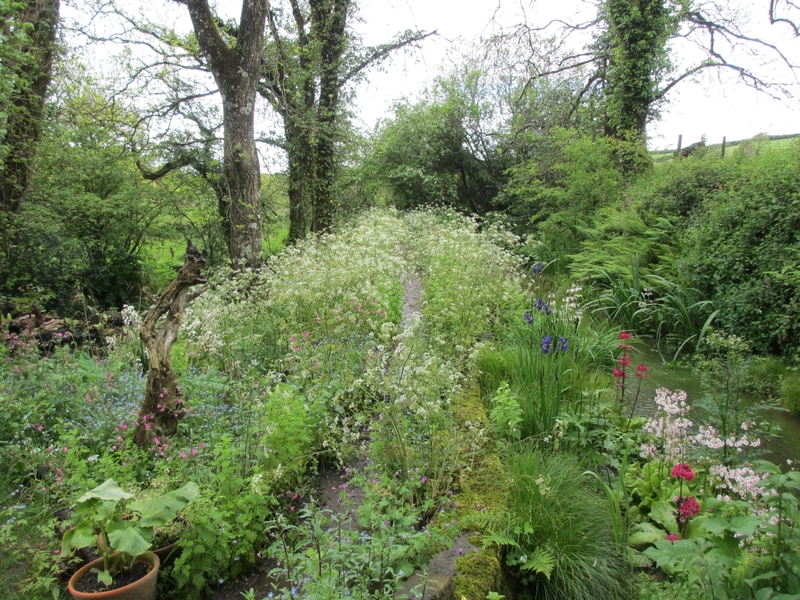 One acre organic gardens around mill house and restored working water mill. 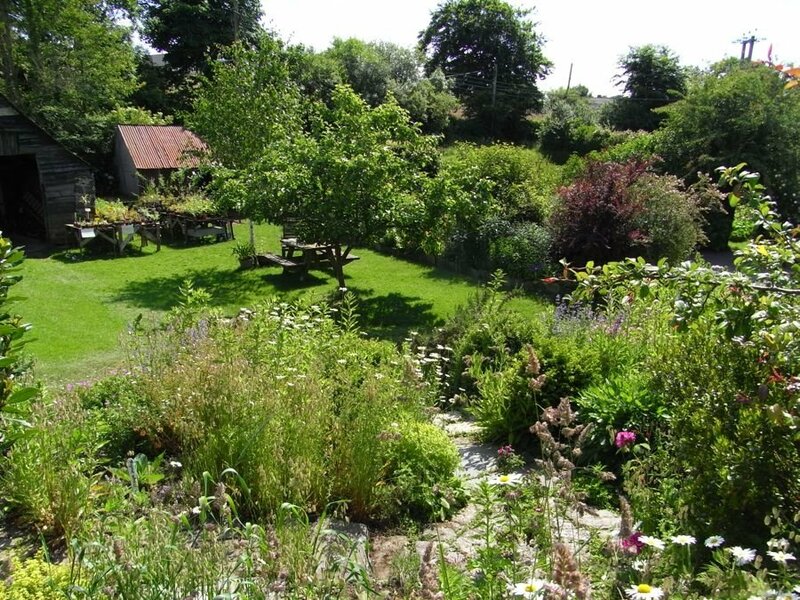 Small cottage garden; herb garden with medicinal and dye plants; productive fruit and vegetable garden, and wild woodland and water garden by mill. 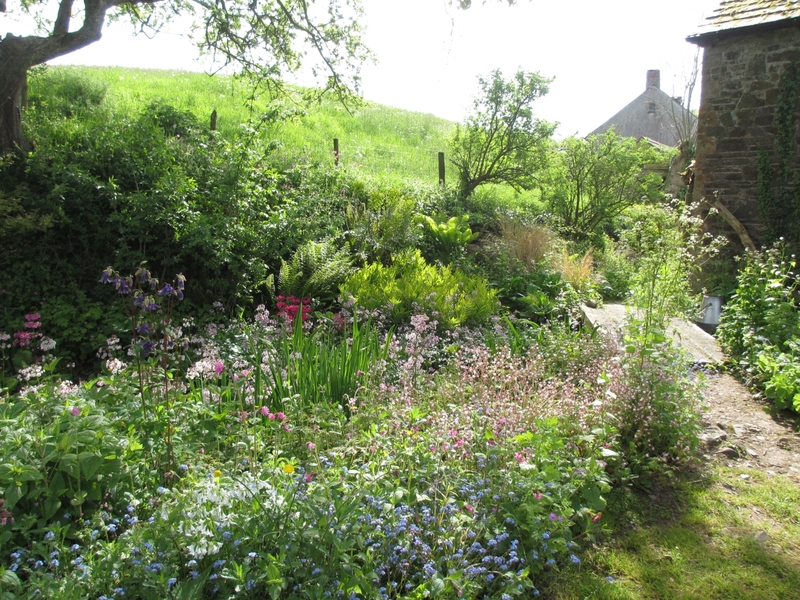 16 acre smallholding: lake and riverside walks, wildflower meadows, friendly livestock, woodland sculptures, local crafts. Exhibition of embroideries by Linda Chilton. 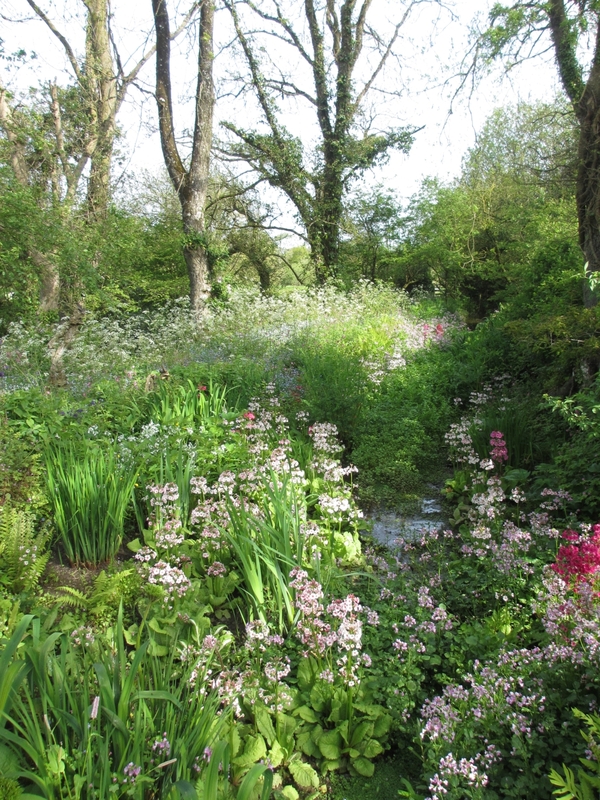 The one acre gardens at The Bridge Mill comprise a series of smaller gardens set around the house and the restored award winning water mill which will be working on the open day. 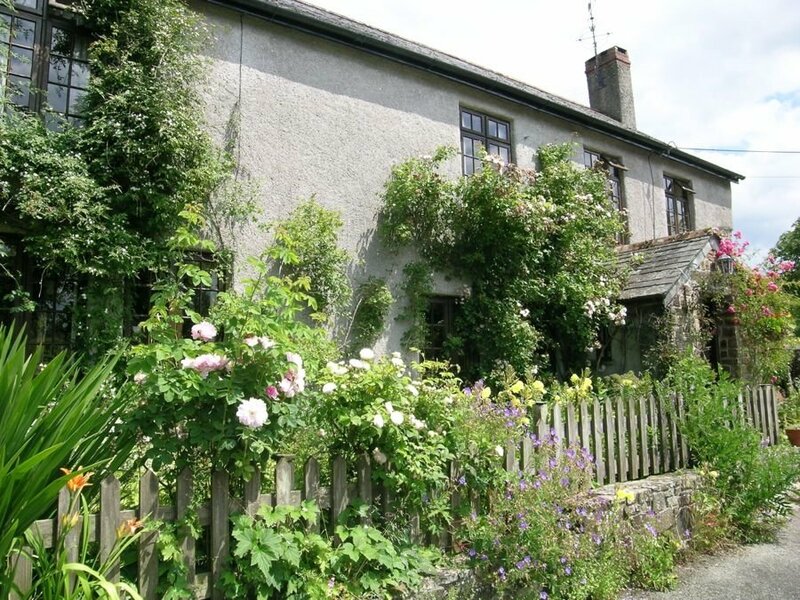 By the house is a cottage garden; and behind, a shady cliff face is home to ferns and green flowers. A sunny end of this cliff face makes an ideal natural rockery. Close by, a herb garden is divided for growing plants with different purposes - culinary, fragrance, medicinal, poisonous and dye plants for colouring wool. 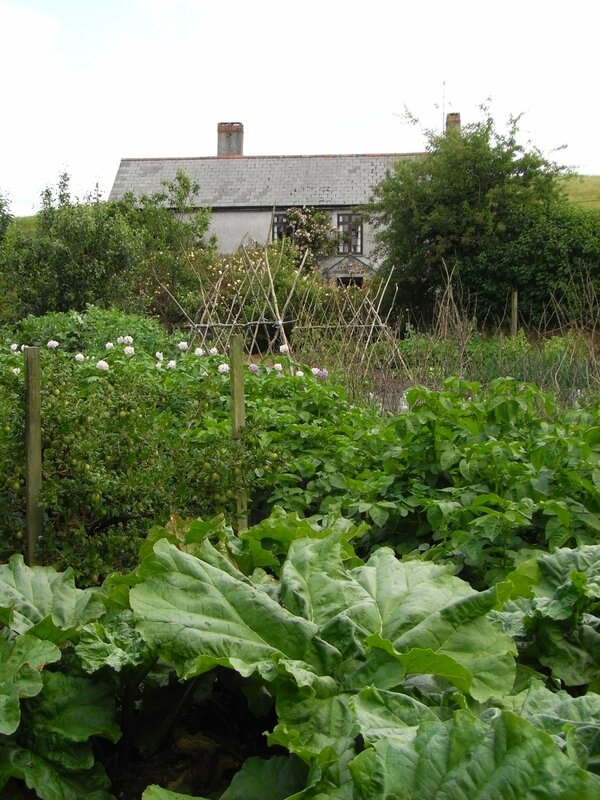 A large productive vegetable and fruit garden provides produce all year round. Behind the mill a wild woodland and water garden, with woodland sculptures, is being developed around the mill leat, mill race, water wheel and the river. 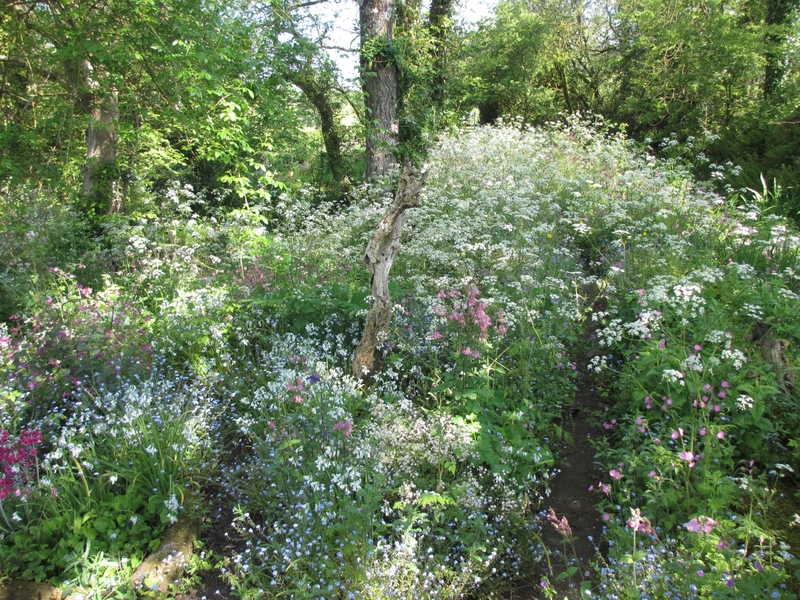 The wild planting in this area spills out into the meadows of wild flowers. The grounds extend to 16 acres in all; these are also open to view with lake, millpond and riverside walks through wildflower meadows. 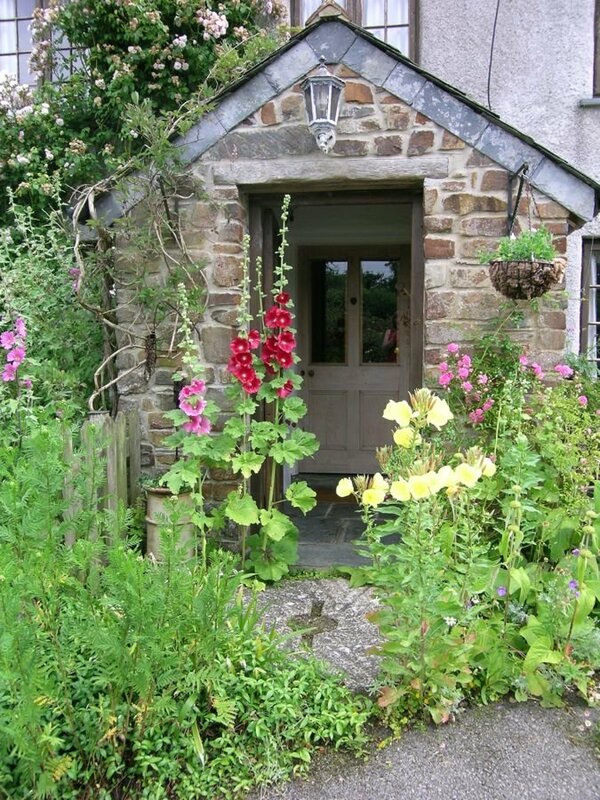 The smallholding is run organically and traditional farming methods employed to encourage wildlife. The Bridge Mill is a County Wildlife Site and a Key Devon Dragonfly site. The site is open for free school visits so is child and wildlife friendly! The exhibition of beautiful garden embroideries by Linda Chilton is held in the small white barn.This is well worth a visit! The historic water mill was restored to working order in April 2012 and in 2017 was awarded a plaque by the Society for the Protection of Ancient Buildings. Mill and smallholding also open for free educational visits throughout yr to school groups. 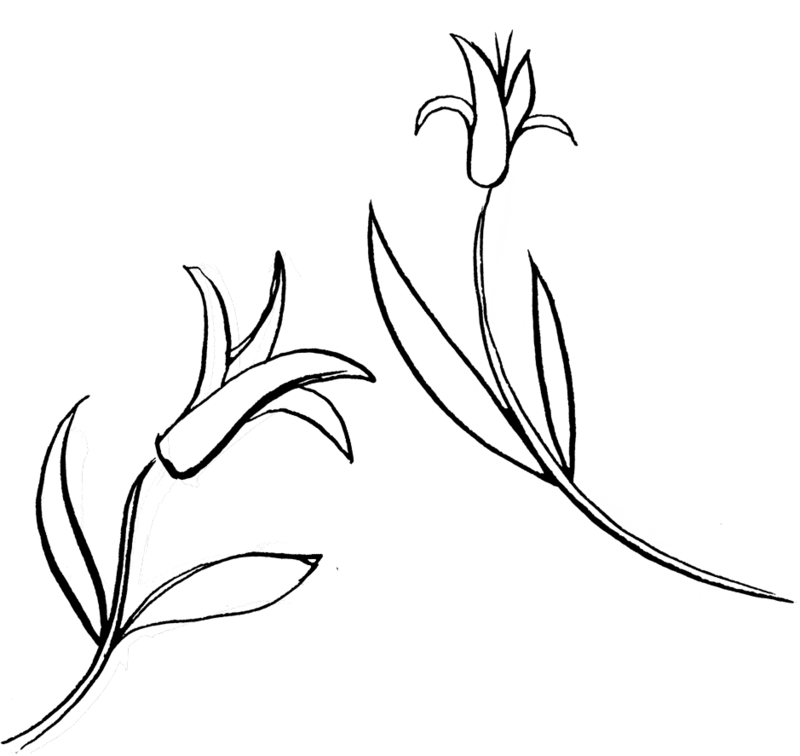 Details on website. In Bridgerule village on R Tamar between Bude and Holsworthy. Between the chapel by river bridge and church at top of hill. Garden is at bottom of hill opp Short and Abbott agricultural engineers. See website for detailed directions. 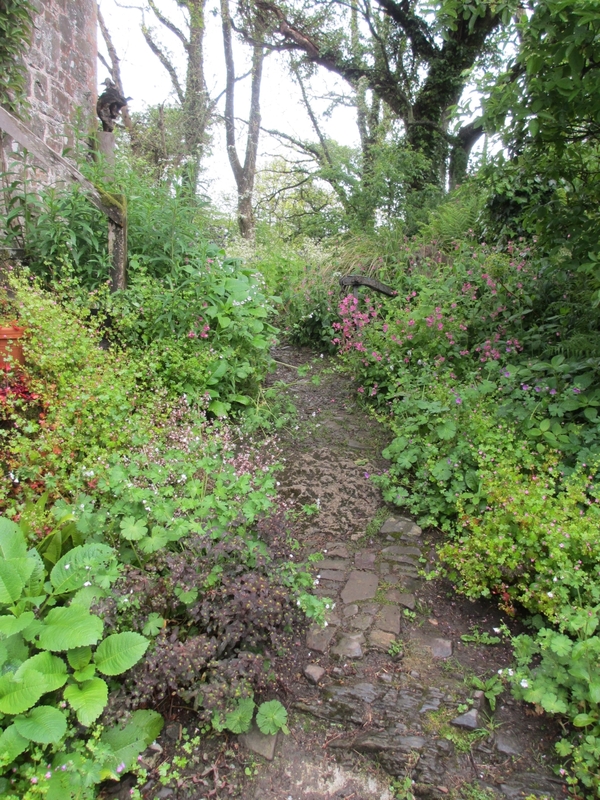 Wheelchair access to some of gardens. WC with access for wheelchairs.